When I was in college I hosted a radio show using the ON AIR moniker, Radio Stevie. “Radio Stevie” premiered in February 2010. 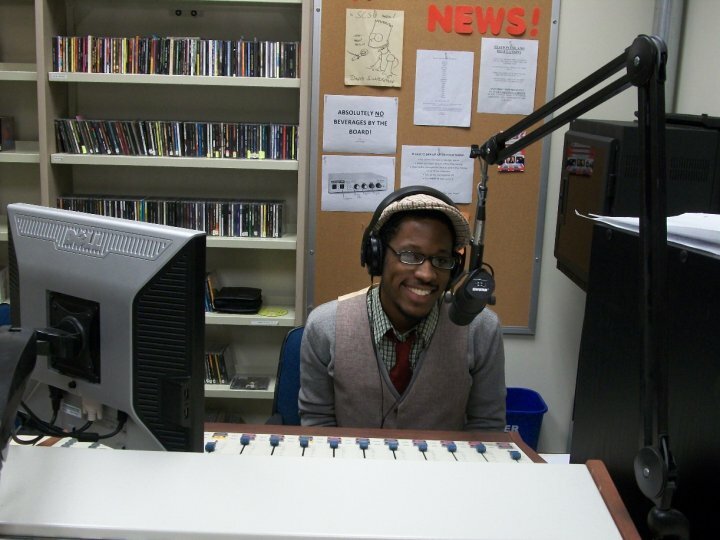 Photographed on my first day ON AIR. All in all, it has been a blessing to receive such great feedback. I am truly honored and hope to continue curating shows people can connect to. The community accepting my vision has given me the confidence to keep going! Thank YOU! See what else people are saying about “Once In A Lifetime” here.